With us coming to the end of Ramadhan, I am quite ashamed to say that my plans of training throughout Ramadhan did not really come into fruit, on the sole basis that my work requires me to attend almost 20 days of buka puasa outings from work which hardly gives me anytime to hit the gym right after. Hence, the entire month really I haven't been clocking in any mileage on my run training which does make me miss pummeling the road big time. However, I do keep my motivations up before going back to training again after raya and one of the huge things I have done is set my goals for next year. By the end of this year, I would hope (fingers crossed) to complete my Running 12 for 2012 challenge which I put to myself earlier this year but next year onwards, I got my sights on bigger, international runs around the world! 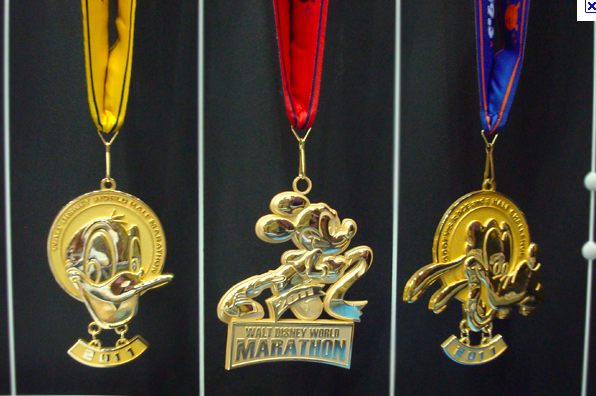 One of them is the Walt Disney World Marathon. 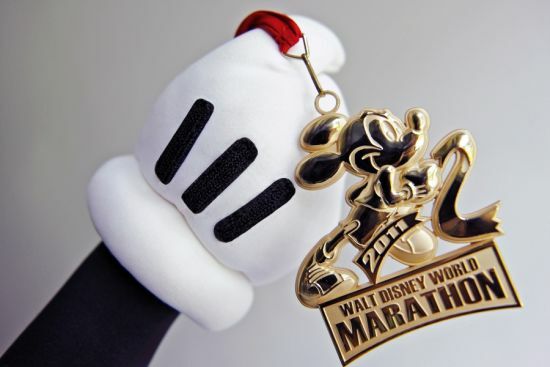 Basically the marathon itself is a course that you run WITHIN the DisneyWorld in Florida and cover the full 42km distance inside the park itself. Imagine yourself running in Disneyland, the most magical place in the world (I still think so even though I'm 29!) and the view of what Disneyland has to offer while you run your marathon! 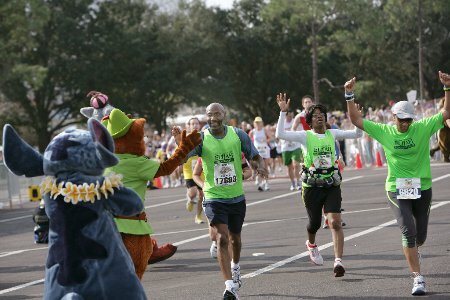 The best thing is while you run, they make it into a whole Disney event so you even get the famous Disney characters out cheering you on. 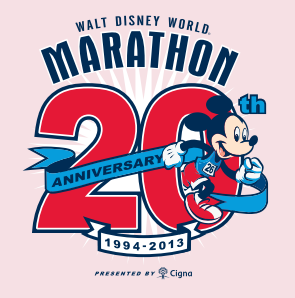 But running the DisneyWorld Marathon is not exactly the challenge that I would want to conquer here, its that one particular challenge in the event that is what I look forward to. b) the Disney Full Marathon, THE VERY NEXT DAY! 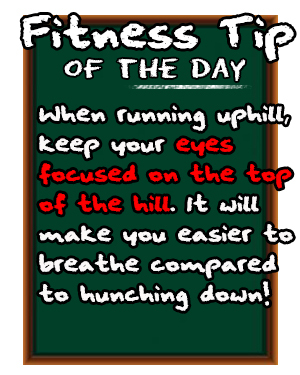 After which you will be presented with three medals upon completion of both the races in the given time! I know that sounds utterly psychotic to do (which is what Miss Ave T keep telling me) but imagine running 63+ kilometers surrounded by everything that is famous about Disneyland. I've been watching the videos people posted on Youtube from previous Goofy Challenges and boy its really something. On that note, we all know that Hari Raya celebrations is coming around the corner and it will be a busy time for all of us here in Malaysia and especially for my family. So, I would love to take this opportunity, just in case if I get bogged down with work later in the week. I would like to wish to all my Muslim readers out there Salam Aidilfitri and Selamat Hari Raya. May you be blessed this year with much happiness and health throughout the year. from myself and the rest of TeamTehTarik.